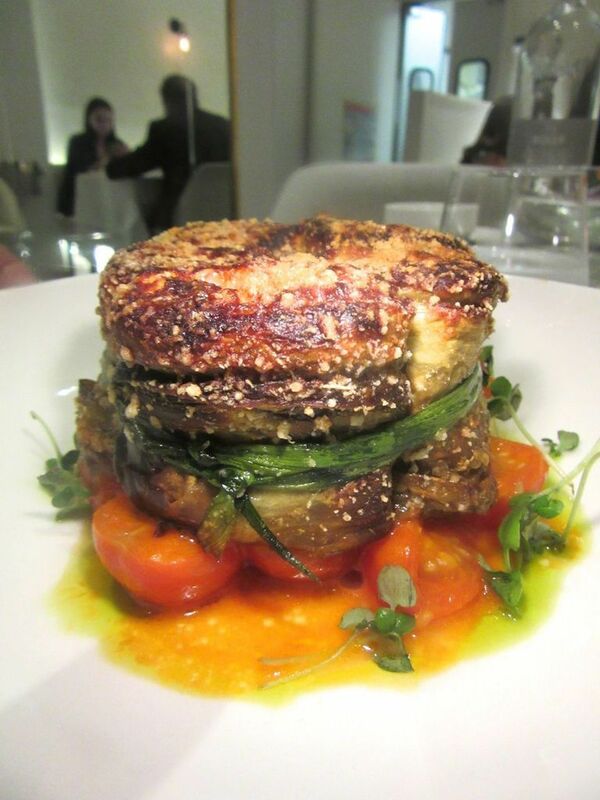 Avena’s eggplant tower, layered with cheese and tomato confit, could be antipasto for two. It’s a special night. I’m meeting fussy friends I want to impress. White tablecloth, please. And of course, the food must be good. I don’t want to be crammed into a corner and surrounded by people who are all thinner than me. It doesn’t take deep thought to come up with the answer. Avena has an aura of being undiscovered even though neighborhood regulars eat lunch everyday at the bar. Lately the answer is Avena. I first wrote about the pleasures in this narrow little townhouse last June (click here to read Feeling My Oats at Avena). I found it a little pricey but pretty, with a glow of pink, and not as noisy as The Grill, where pop music competes with the bleats of the entitled. There are no bleats at Avena. No one seems to feel a need to advertise entitlement. White tablecloth, of course. 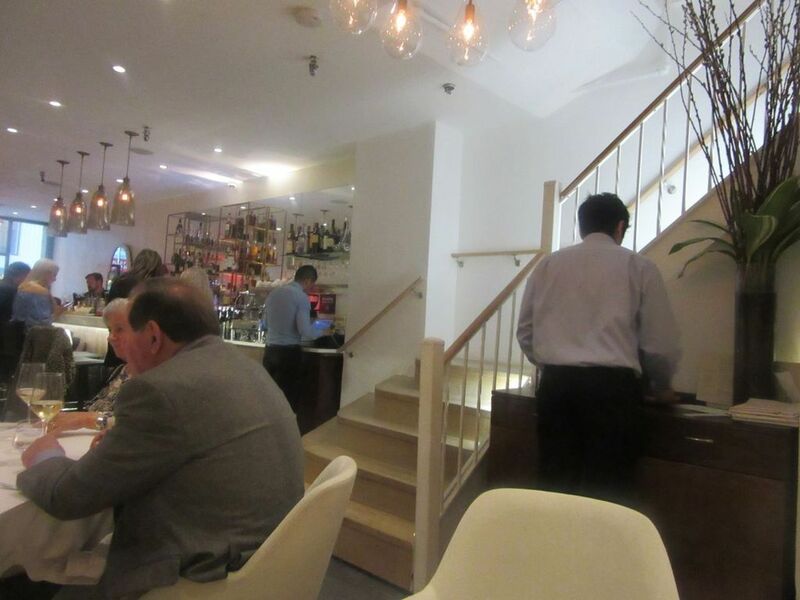 I like the big ground floor banquette where I can watch the parade being led upstairs. I like the ground floor banquette midway between bar and kitchen, although there’s no need to feel embarrassed at being led upstairs. Probably no one you wouldn’t want to witness your shame will be there to record it. My friend has discovered the Aperol spritz, cooling for summer. He’ll make his last throughout dinner. 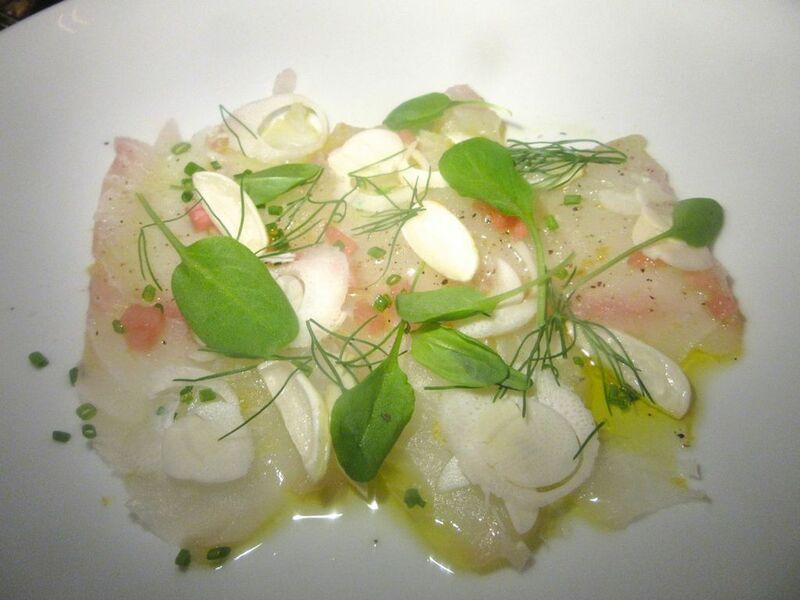 The service isn’t as aspirational as the setting, and the kitchen under chef-padrone Roberto Deiaco. Wife Giselle sometimes seems hesitant to step in. It may take a while for the waiter to realize he’s in charge of your table. Your drink order may not be first in line with the bartender. I want to taste everything in the bountiful bread basket while waiting for drinks to arrive. 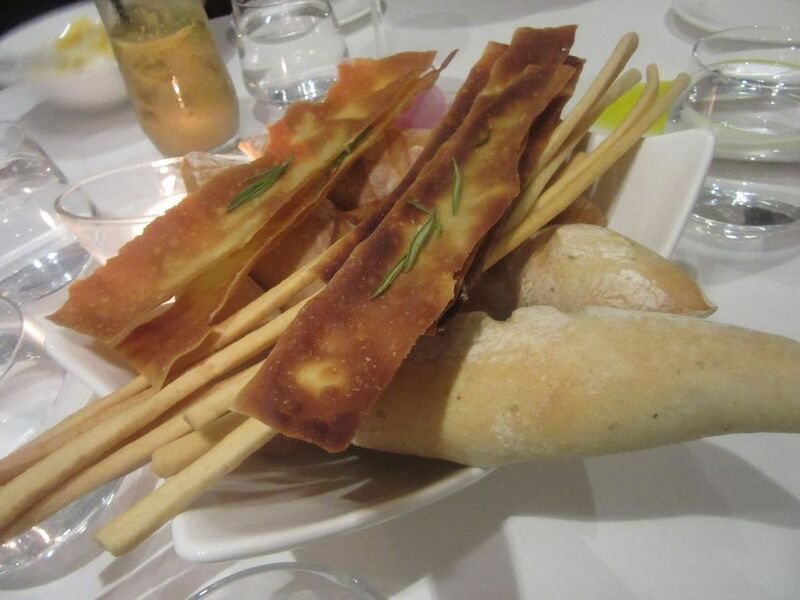 But soon enough the bountiful bread basket arrives with just-baked rolls, ribbon crisps, bread sticks, and on a separate plate, a pour of Laudemio olive oil with a small bruise of balsamic for dipping. You need butter? Just ask. 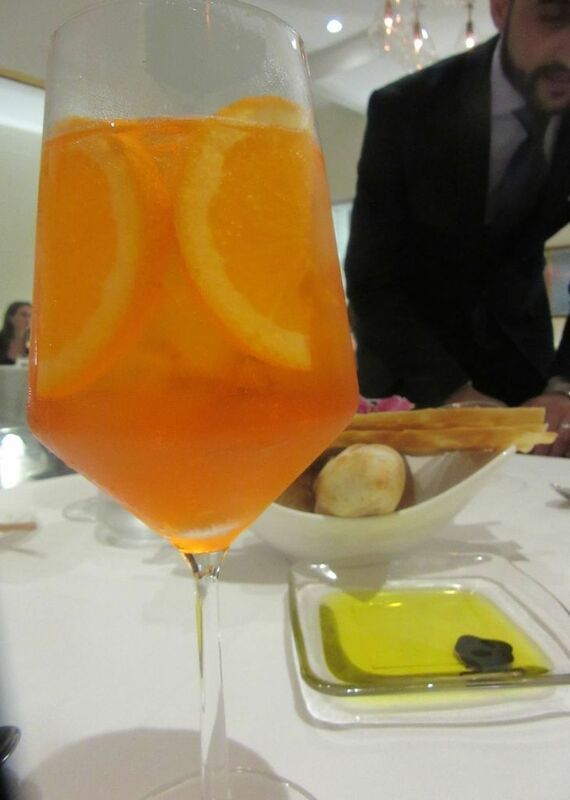 Our Aperol spritz-lover will make his pretty quaff last all evening. 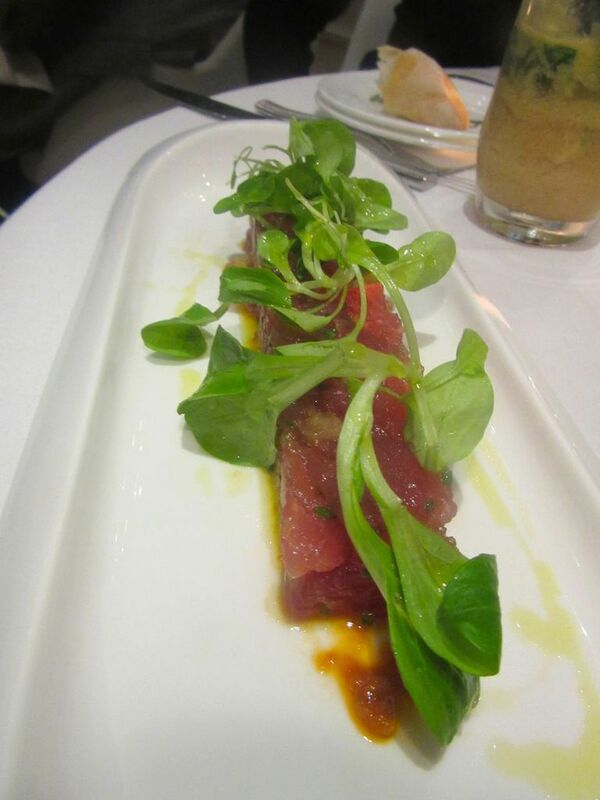 Raw slices of tuna battuta are arranged over olivata, another dish you might want to divide. The yellow tomato gazpacho amuse with islands of burrata comes in a big bowl. 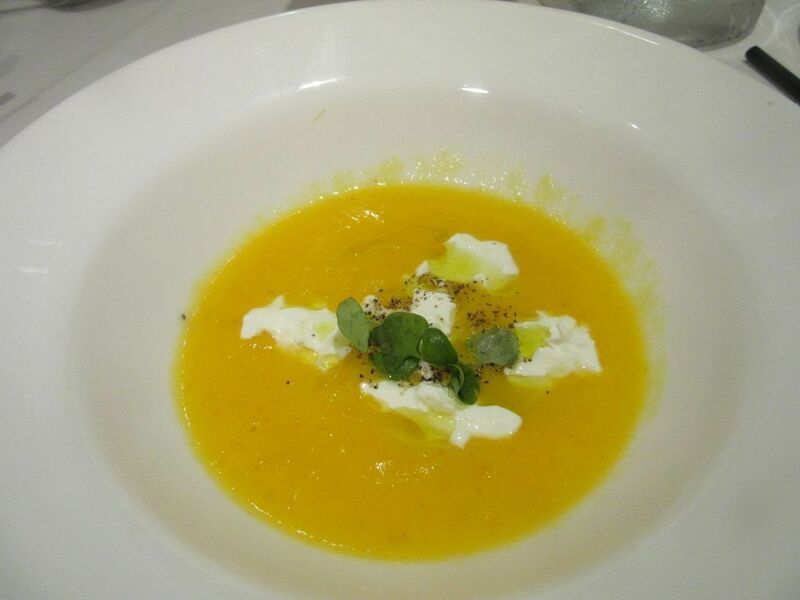 A big bowl of yellow tomato gazpacho with burrata is our next reward for coming. That’s the summer amuse: Not a sip in a doll’s cup but a grownup portion. Someone will likely order tuna carpaccio. 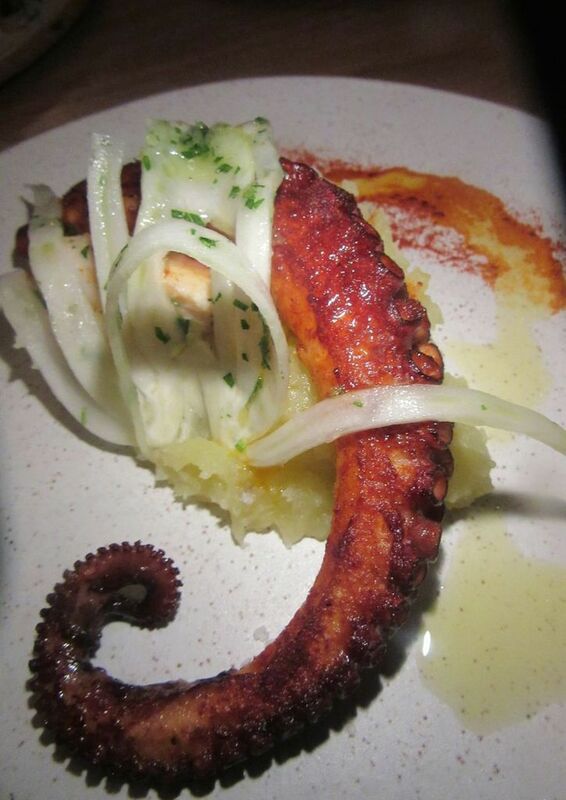 And someone is invariably drawn to octopus. Here it’s Portuguese alla brace in bagna càuda. 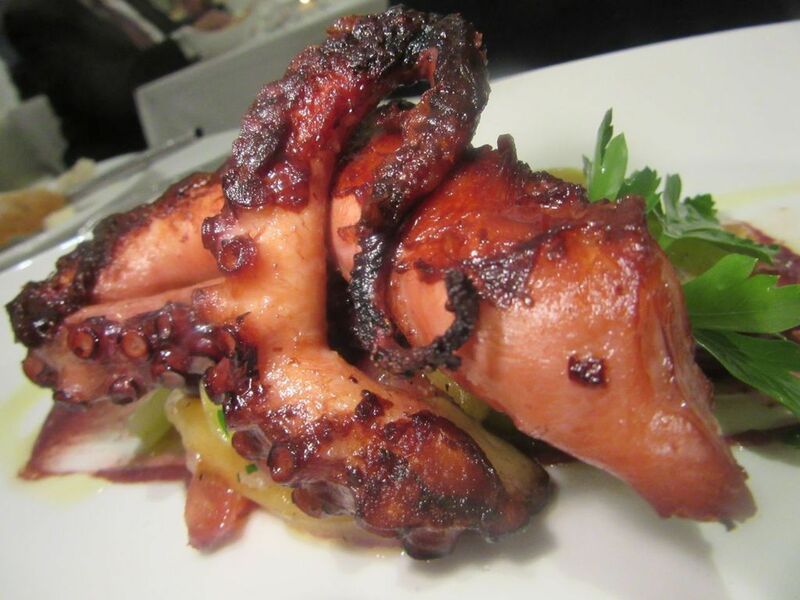 Avena’s pan-roasted Portuguese octopus crouches on an island of garden vegetables. If there’s a fritto di mare on the menu, I’ll order it. This one mixes fried calamaretti, prawns, and branzino. My pal’s tower of eggplant could easily be dinner, or a starter shared for two. 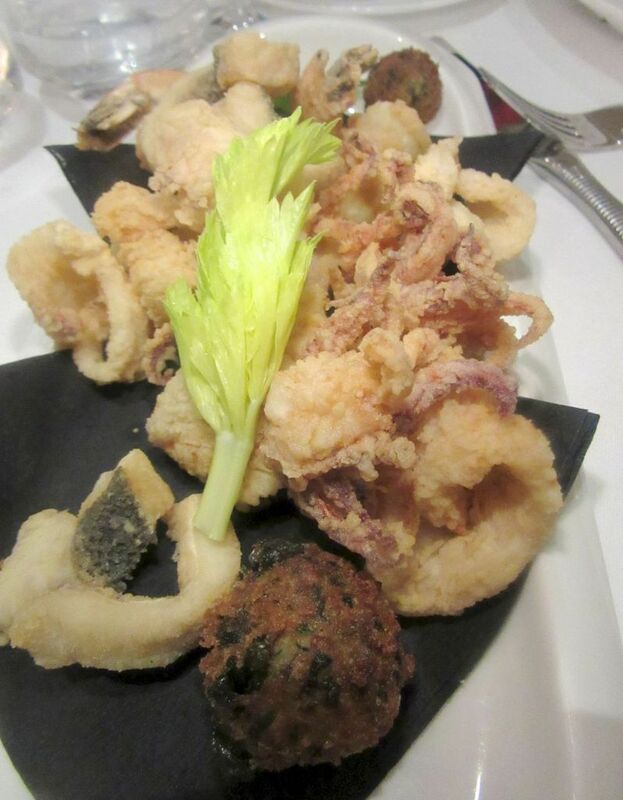 I can rarely resist fritto di mare when I spot it on a menu. Avena’s is less expertly done than most of the options we’re trying tonight. 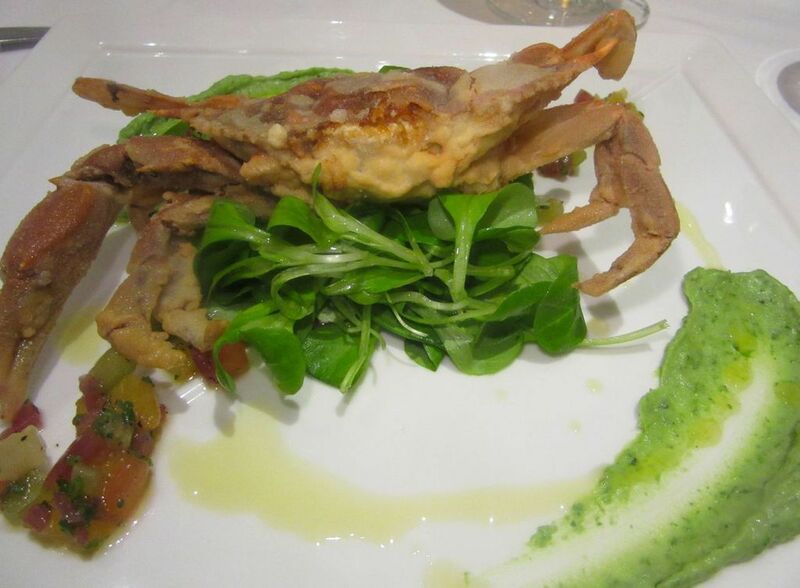 One crisp soft shell crab can be a starter for $21, two as an entrée. I will almost always order the soft shell when they’re in season. Tonight’s critter sits on vegetable crudaiola alongside a hedge of Valerian greens. 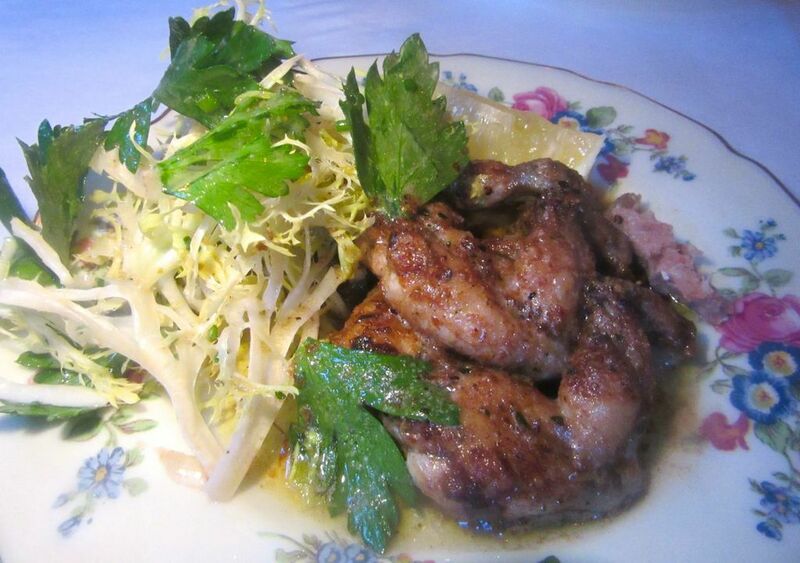 In June soft shell crabs were fresh everywhere. Avena’s is fried and sprawls against a hedge of Valerian greens. 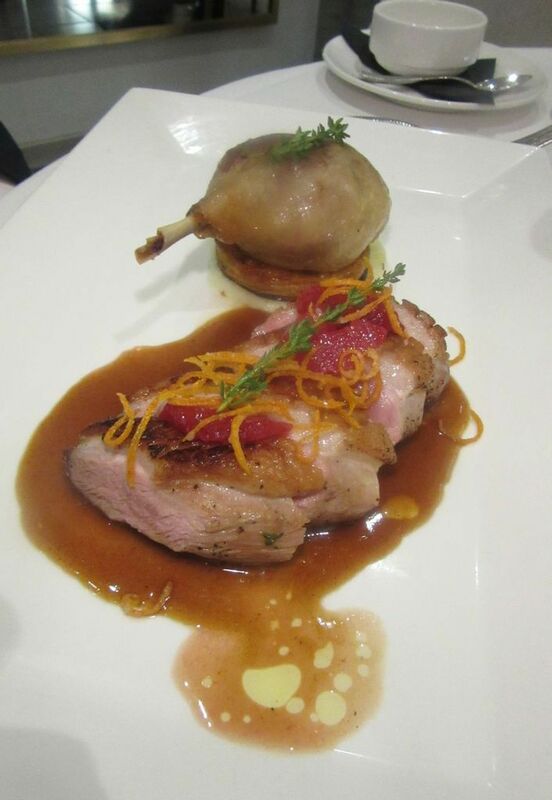 Duck two ways is served on essence of blood orange with a potato galette. Twice this season someone chooses the duck two ways. The leg is full of flavor and sits on a potato galette. The deftly caramelized breast, topped with candied orange, is rare – I asked for it blushing and the kitchen braved it. The four of us are sharing the fettucine with porcini. 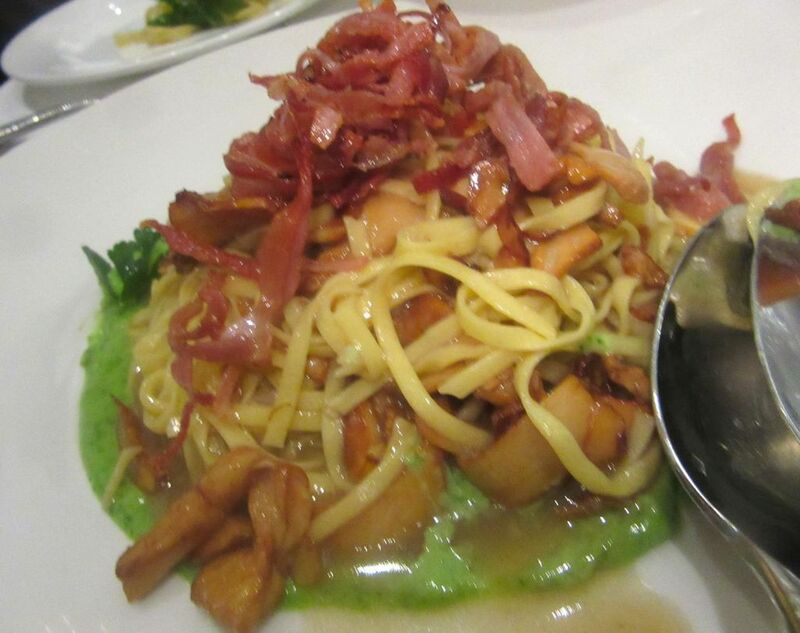 Tagliolini ai Finferli is tossed with chanterelles, crispy speck and parsley root purée. Normally, my friends share tastes. They may have started the gambit to help me cover my reviews, but now it’s become a way of dining. 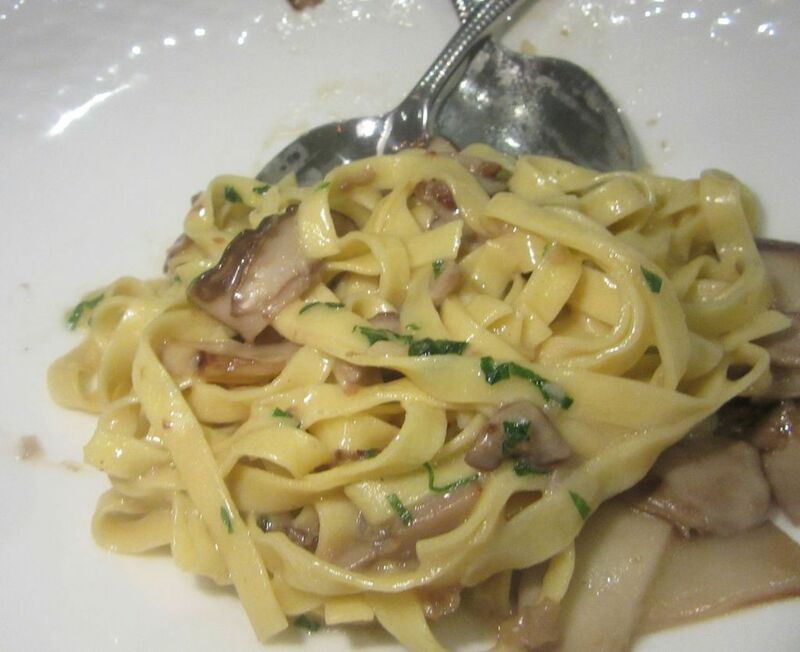 After a swirl of porcini-tossed fettuccine and tagliolini finferli with chanterelles and a generous cut of the steak, my gang groans when I suggest dessert. 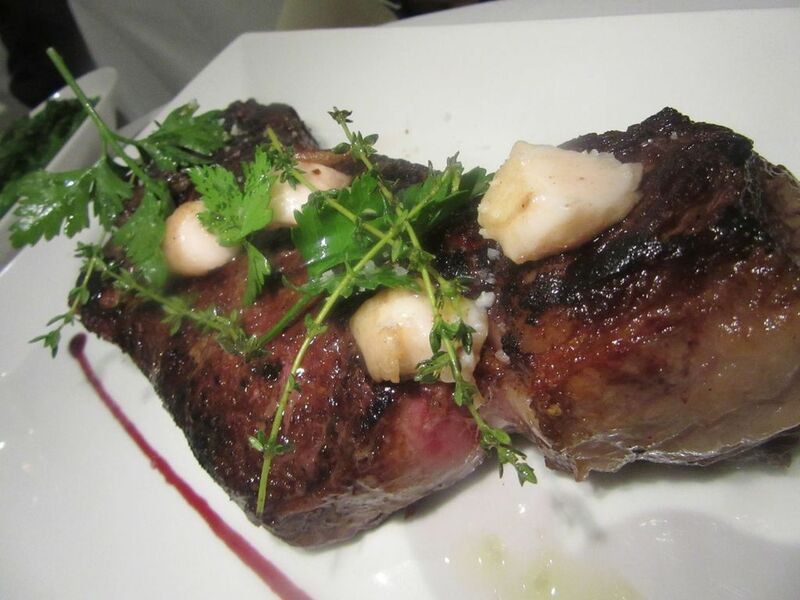 Red Angus steak is served with spinach and chunks of marrow. 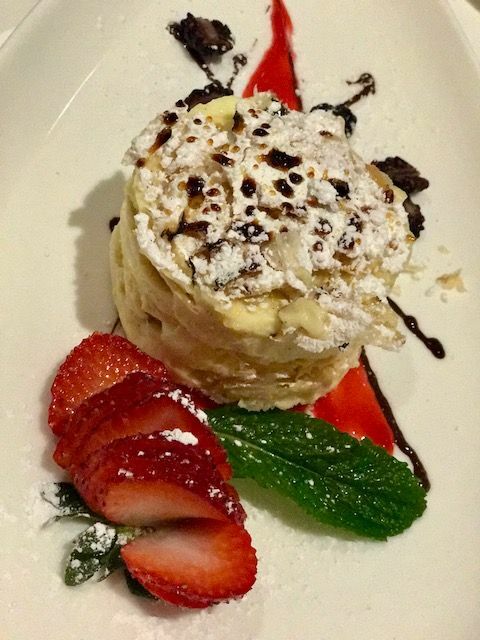 Milles feuilles is layered with vanilla cream on a plate painted with chocolate. But the waiter is setting up dessert plates and silver anyway as we seem to acquiesce, conquered by the mille- feuilles with vanilla cream and strawberries, and the pistachio gelato with meringue and black cherries. I believe I manage to leave one farewell cookie untouched at the end. 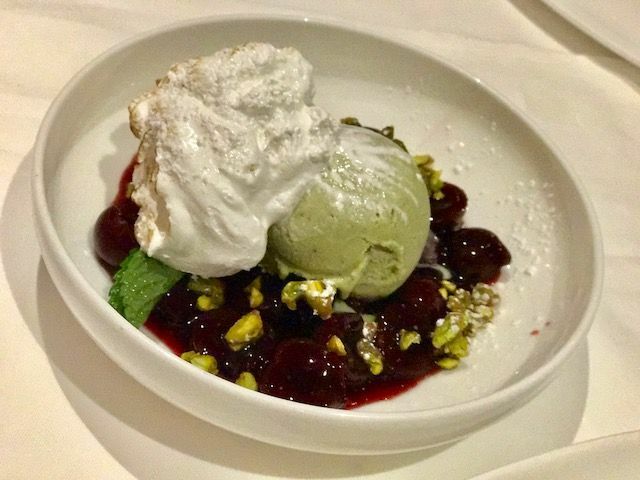 Our dessert comes as a gift from the house: Cherries, pistachio ice cream and Italian meringue. Avena seemed undiscovered when I first wrote about it, even though my friend Bob ate lunch there every day. It still has an aura of obscurity. I will certainly be annoyed if I call to book my table for friends I plan to spoil and find nothing available. 141 East 57th Street between Lexington and Third avenues. 212 752 5323. 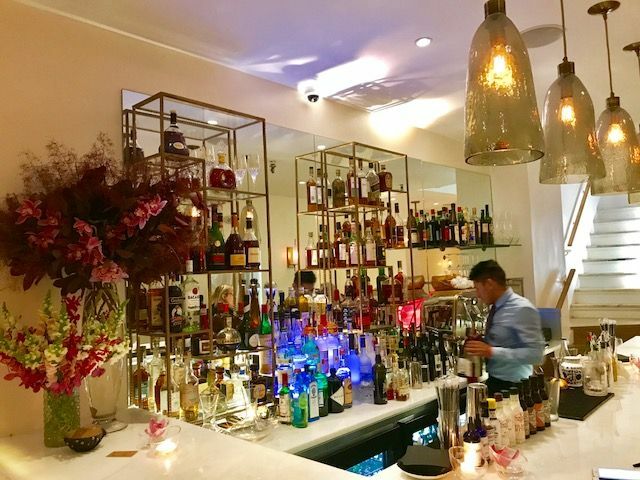 Avena has opened at 260 Sixth Avenue between Bleeker and West Houston Street. 212 505 9252.